The options for housing and care available to seniors in our area are many and always changing. That’s why CHOICE Advisory Services was created to help seniors and their families, as an unbiased support for this challenging and emotional process. CHOICE Advisory Services is an absolutely free senior housing and care referral service for the Vancouver and Portland area. A CHOICE advisor will meet with you and get an understanding of your needs and and your situation. Then you will be matched with the most suitable resources in your area. After discussing your options you can have your CHOICE Housing and Care Advisor go with you to visit the facilities, or you can contact and visit them on your own. CHOICE Advisors also help you select in-home services if that fits your needs. You’ll know it’s time to call CHOICE when a senior’s home is no longer the safe or practical place for them. When family and friends are having concerns, when their health is suffering from poor nutrition or missed medications, or when social isolation is causing depression or other mental health concerns. Now you know you don’t have to do this alone. There is help. Call CHOICE Advisory Services for Portland and Vancouver today. Assisted living settings vary, depending on levels of assistance needed. 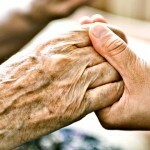 Assisted living may range from in-home to adult family homes to nursing homes or other settings. Senior housing assistance in Vancouver WA is not just about financial aid or types of housing. Sometimes it’s about helping your loved ones stay in their home by bringing in the right caregivers. Moving into a senior living community is a significant change for all the family members involved. 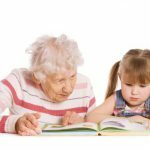 The goal of A Caring Heart is to help clients make the best decision for their situation regarding senior housing or assisted living in Vancouver, WA.